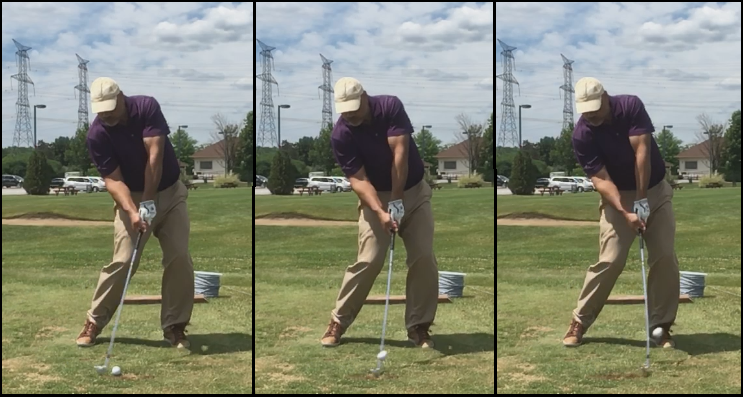 What I mean is on the take-away or back swing pivot – the funny thing I’ve found about the past couple of weeks is that, once you take care of the proper setup & then make the tight pivot, you only have 3 things to worry about. Two of them, you can do something about – starting and top positions. The 3rd, impact, is taken care of by having the first two correct and then simply “stepping into it” on the transition. As far as the club path on the back swing pivot goes, I’ve stopped even thinking about what the club head is doing going back for one simple reason – focusing on the simple “One Major Move” to get to that nice tight top position eliminates any need to think about club head path. Setup – This is where you will find success or failure for the most part, because few of us are naturally gifted with such hand-eye coordination that we can make a good swing from a bad setup. Even if you are, you’re just making it harder on yourself. So, this is the part where you establish your proper grip, ball position for the club in question, and of course your address stance with regards to your bias, posture and balance. 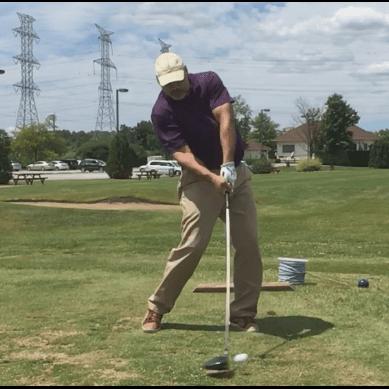 Transition & Down Swing To Impact – From there, as you “step into it,” you should be free-wheeling now, just getting aggressively into that leading foot, which automatically leverages you into the “Drop” to the “3 O’Clock” position. If you do nothing untoward from the setup to the “Drop,” then a powerful and consistent impact is virtually assured! 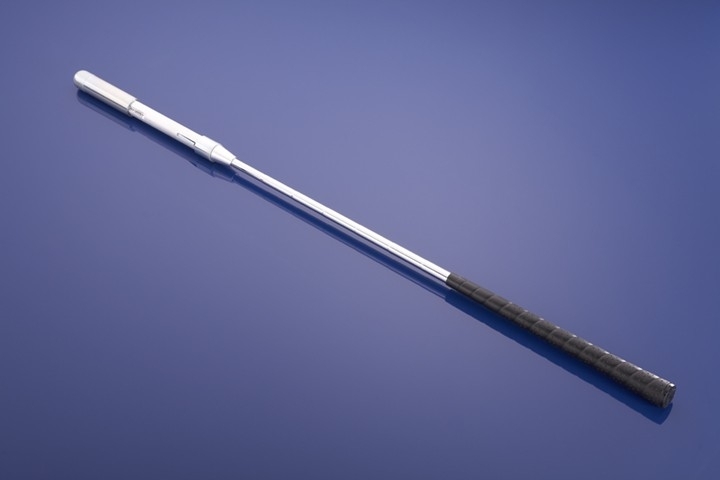 In that regard, all of the angst about club path going back – it doesn’t really matter, just I as I explained in the “MCS – The Kinetic Chain” that the action of the hands (passive, “fanning,” “hooding”) shouldn’t really matter either as long as you’re getting your setup right and then finding that proper top position. If you draw back your arm to throw a ball or other object, other than your stance and the actual throw, how much thought do you put into the exact path your hand takes? If you’re playing darts, after you establish your stance and aim, are you focused on the path your hand takes going back, or the throwing motion you make afterwards? Think of any other swinging or throwing action, and ask yourself if you are worried or thinking about the path of the hands going back, or coming back through? The proper and mechanically-sound golf swing is so straight-forward once you take care of the essential elements – and if your’e swinging with the MCS Golf Swing model, I’ve spent 13 years simplifying the motion and eliminating anything extraneous, so you can take this to heart! And the golf swing is (or should be) no different. Finally, you mention darts! In the cold winter months, I enjoy tossing the arrows, as I’ve mentioned. My thoughts keep leading me to the perfect MCS dart stroke (which I have yet to identify)! I had no idea you were waiting for that mention. 😉 Of course, when I played darts in the campus pub, I was undoubtedly more attuned to the pint at hand than my technique, but the fact remains – technique is paramount in any type of sport motion.